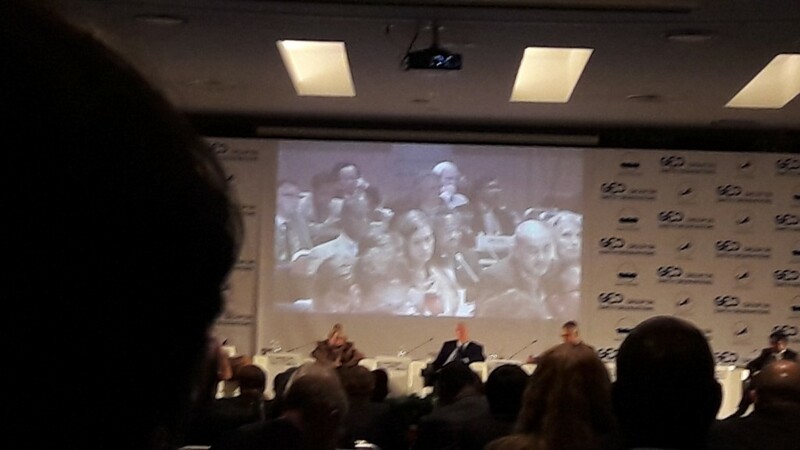 During the Thirteenth GEO Plenary Meeting, held in St Petersburg, Russian Federation, on 9-10 November 2016, representatives from the Group on Earth Observations (GEO) 103 Member governments and 106 Participating Organizations have assisted to launch of the new look of the Global Earth Observation System of Systems (GEOSS) Portal. 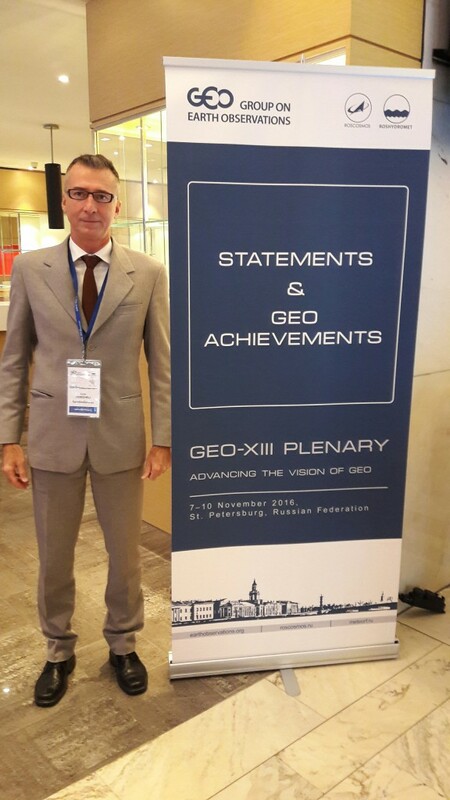 “Over the years, GEO has demonstrated a constant evolution, especially in the provision of free data sharing, creating value-added products and services for the benefit of society; and today, with the involvement of the commercial sector, is making another step forward“. 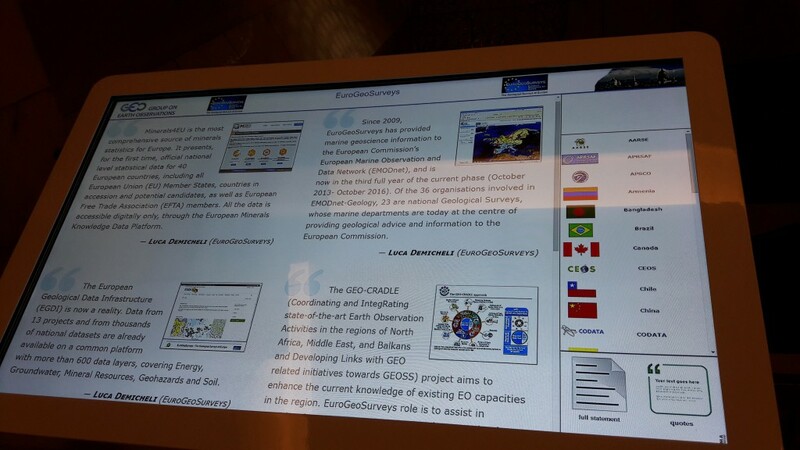 In this framework EuroGeoSurveys contributes through several projects such as Minerals4EU, EMODnet-Geology, EGDI and GEOCRADLE. Minerals4EU is the most comprehensive source of minerals statistics for Europe. It presents, for the first time, official national level statistical data for 40 European countries, including all European Union (EU) Member States, countries in accession and potential candidates, as well as European Free Trade Association (EFTA) members. All the data is accessible digitally only, through the European Minerals Knowledge Data Platform. The Minerals Yearbook published last year contains a unique and invaluable series of in-situ data, which will be freely served to GEOSS. The sustainability of Minerals4EU is now guaranteed by the set up of the Minerals4EU Foundation that can be a major pillar to the success of the GEOSS Energy and Mineral Resources SBA. The GEOSS Energy and Mineral Resources SBA is supported also by a new project, FORAM, which will establish a World Forum on Raw Materials, bringing together all major global players in the field and where EuroGeoSurveys is one of the partners involved. Concerning the marine environment, EuroGeoSurveys runs the geological component of the European Marine Observation Data Network (EMODnet) project: EMODnet-Geology. The project maps for the Baltic Sea, Greater North Sea and Celtic Sea were delivered to GEOSS through the OneGeology-Europe project, enabling the delivery of both onshore and offshore geological information via a single GEOSS geoportal. Currently, also the mapping of the Mediterranean Sea is close to completion. Today, the newest and most important EuroGeoSurveys contribution to GEO is provided by the European Geological Data Infrastructure (EGDI). A common platform that makes available data from 13 projects and from thousands of national datasets with more than 600 data layers, covering Energy, Groundwater, Mineral Resources, Geohazards and Soil. As declared in the statement, the contribution of EuroGeoSurveys is not limited to the European continent, but it applies to a global scale. The GEO-CRADLE project is an example where 19 organisations from the Balkans, North Africa and Middle East provide access to information on raw materials and adaptation to climate change. 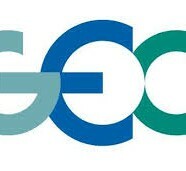 It is creating a multi-regional Earth Observation network, supporting the effective integration of EO capacities, creating an engagement interface for the EO stakeholders, and promoting EO services and data in response to regional needs, with the final main goal of contributing to the implementation of GEOSS.